When I was working in running retail stores years ago, Reebok was a bit of a myth/legend. They were not selling true running shoes in specialty retail, yet many of the older retired elite runners I worked with spoke of how good they used to be. ZAP Fitness was around and glimpses were seen of true running shoes on the feet of those elite, but for the rest of us? Nothing. Then things changed in the last few years. A huge push was made (successfully in my mind) into the CrossFit market. Then... finally.. a return to running. I have not yet run fully in the Float Ride run, but having put them on was very interested in their new midsole material. I have a pair Harmony Road 2 I am working on, but as always, the racing flat was what caught my interest most. The OSR Harmony Racer. I love racing flats, and these are no different. A effective, fast but no BS ride that will race a variety of distances. Let's talk about this shoe. The fit is on the narrow side, which is normal for racing shoes. However, the oblique last in the upper makes this shoe unique. The human foot was definitely kept in mind with this shoe (but not in a barefoot/minimalist extreme way). There is less curve laterally on the first toe (hallux) which gives it some extra room to stay straight. The heel fit is fairly normal to slightly narrow, the midfoot is narrow and the forefoot opens up slightly for a little more room. There is a toe guard but it is fairly minimal. The upper is extremely comfortable overall. I enjoyed running sockless in this shoe without any issue. I would definitely prefer to wear socks for longer races, but for 5k I would consider going sockless. The upper is comfortable, thin and fits well. The heel area has a minor counter, but I did not feel it. Most Reebok running shoes (Harmony Road, Floatride Run) have run a little long for me. I tend to wear pretty thin socks, so that might be an influence. The OSR Harmony Racer was similar but fit more true than the other two. With socks they fit fine early in the morning (without any foot swelling yet). Later in the day they fit fine without socks. So I would probably stay with your normal size. Here is where things get a bit interesting. The sole is firm but not super firm. I would describe it as protective firm. This comes from the 3D LiteStrike midsole, which I believe is still EVA (excited to see their TPU racer soon). The outsole is full ground contact (except a pocket in the heel) and is fairly stable despite having a VERY narrow midfoot. The additional stability comes from the PwrZone forefoot design with the pad under the first metatarsal. I have discussed this previously (and will again in the Thoughts as a DPT section) but the first metatarsal is a very important part of the medial arch. The cut out feels like it helps engage the muscles around the first toe and the arch, which may or may not help stabilize the foot. There is a very mild heel bevel and some toe spring but they are both on the minor side. The forefoot has great flexibility and you will transition into toe off very well. This is a shoe that should be comfortable landing in most places. The 6mm drop is right in the middle for racing flats. Not too low, but low enough to get on your toes. I did not feel the heel getting in my way at all. The sole is simply yet effective. There are no extra bells or whistles other than the PwrZone, so overall does a great job of getting out of the way to let you run fast. Thanks to the somewhat firm sole, the ride has a good feel for a racing flat. It isn't the most responsive shoe out there, but it does have some protection. This is why this is the first shoe I would reach for for medium length workouts or shorter workouts where I want a bit more protection. I used these for a long track workout and a tempo run and found them to work well for both. There was plenty of speed to get me through those short intervals and enough protection from the road for the tempo run (along the roads of Griffith Park). I personally have moved away from the super lightweight racing flats (4 to 5.5 oz) even for 5ks as they tend to beat up my legs too much. I have had more success in midweight racers as not only are they fast, I can get back to training faster. The Harmony Racer is definitely light at 6 oz but still has some protection from the midsole. That protection works well for medium length workouts like tempo runs and the PwrZone works VERY well during high speed running. I was impressed during strides and shorter intervals that this shoe moved so quick, but it will respond to whatever pace you push it. Thus this shoe should work well for intervals and tempo runs as well as races up to the half marathon for most. Some will be able to go up to the marathon if they are used to lightweight racing flats. I only ran in this shoe for 10 miles, but the durability was impressive. There is high abrasion rubber placed at the lateral heel and midfoot. For those that land at the lateral forefoot, you may chew through this shoe, but I still did not see major wear. This is a racing flat, so I would not expect hundreds of miles. However I would expect at least 150-200 for me (and I wear shoes down very fast. Working on that). I appreciate Reebok taking an interesting approach to foot stability. The first ray, 1st MTP joint and the muscles of the first toe are often overlooked by the running industry. As I have discussed previously, the first MTP joint and first ray make up the distal aspect of the medial longitudinal arch. 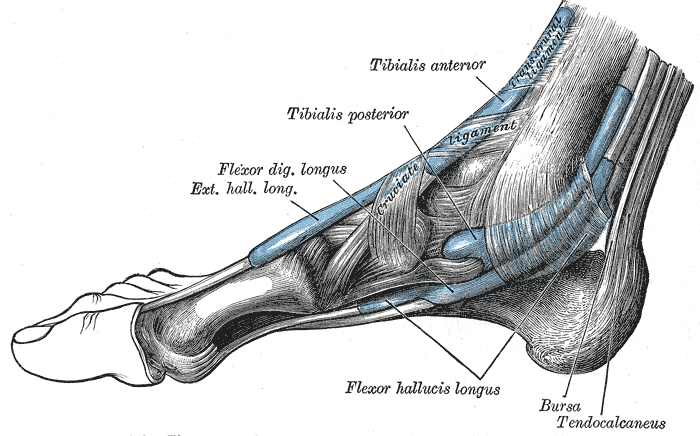 Many powerful muscles either connect to or pass through this area, including the Flexor Hallucis Brevis (and longus), Fibularis Longus, Abductor Hallucis (this is SUPPOSED to be strong) and more. Many of these assist with plantarflexing the first ray to assist with creating the arch and assisting the gastrocsoleus (calf) muscles in creating a powerful push off during terminal stance (toe-off). That big toe and first MTP joint HAVE to be down on and pressing into the ground to create a stable forefoot and solid push-off. This is a common issue and area of instability that is missed. The inability to keep that first toe down means the front part of your arch is unstable and lifts. Thus the medial arch may collapse or the other muscles (posterior tibialis, etc) may have to work harder to try to stabilize the arch. This obviously works both ways (weakness in the back, compensation in the front), but this is where a great deal of forefoot stability (or instability comes from). Having a company that takes this into account, much like my previous post on those that do forefoot stability (FOREFOOT ARCH SUPPORT), is refreshing. Whether the PwrZone actually works is up for debate (as there are no released studies on this), but it definitely feels good and makes me feel like I am engaging the muscles of my foot more. That however is only a testimonial, so you'll just have to try them for yourself. For those with narrow to medium width feet, looking for a fast but still slightly protective ride for the 5k to half marathon, definitely take a look at this shoe. The Reebok Harmony Racer has made a quiet debut, but is well worth checking out. The midfoot is a bit narrow, but the use of the PwrZone in the forefoot makes for an interesting ride. If anything, hopefully this spurs some continued thinking into arch activation via the forefoot and other ways to stabilize the foot besides posting. I look forward to future product from Reebok and am excited for them to make a big jump back into Specialty Running! ***Disclaimer: These shoes were provided a personal purchase and were bought for their full US retail price. . We put at least 50-75 miles on trainers and 10-25 miles on racing flats prior to reviewing them. Currently I had 10 miles on my pair and had to send them back due to being careful financially at the moment. If sent to me in the future, I will put these through further testing and will report back. My views are based on my extensive history in the footwear industry and years testing and developing footwear. If you are a footwear rep looking for footwear reviews or consultations on development, we are currently looking to partner with companies to assist, discuss and promote footwear models. Partnership will not affect the honesty of our reviews.